We mixed this up two different ways, both in the Bosch mixer and in the bread machine. The pictures are of us mixing up the batch using the bread machine. Place the first five ingredients in the bread machine in the order listed. 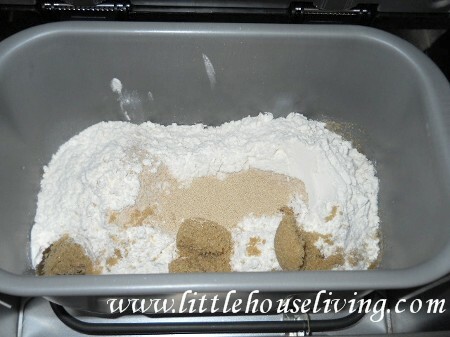 You can mix up the flour, using white or wheat or whatever combination you prefer. We did one batch all wheat and the second batch using half white/half wheat. Place your bread machine on the dough cycle. 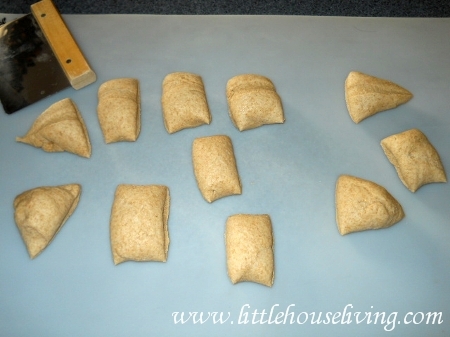 Once the dough cycle is complete, remove your dough onto a surface and cut in the amount of pieces you would like. We made 10 in one batch and 11 in the second batch. If you want larger pretzels, make less pieces. Roll each piece into a long rope. Then form into the pretzel shape. 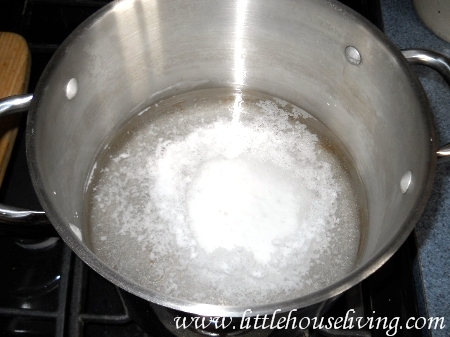 In a large stockpot, bring the 2 quarts of water and baking soda to a boil. 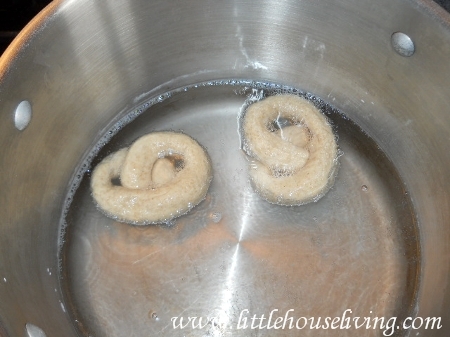 Place the shaped pretzels into the boiling soda water, a couple at a time. Boil for approximately 15 seconds. Remove from the boiling water with a slotted spoon and place them on a greased cookie sheet. I salted mine once out of the water, before I baked them. If you do it right away, while they are still damp, the salt will stick to them nicely. Bake them for 8-10 minutes at 400 degrees or until golden brown. Enjoy them right from the oven! They are delicious. We refrigerated our leftovers and just warm them as we eat them. I’ve made soft pretzels before, and they’re SO good. They’re fairly inexpensive and fun to make! 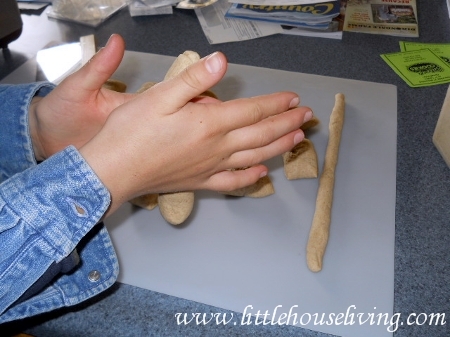 pretzels originated by a monk/priest to encourage prayer (folded hands) among the children. Do you think honey could be used in place of the brown sugar? Looks great. 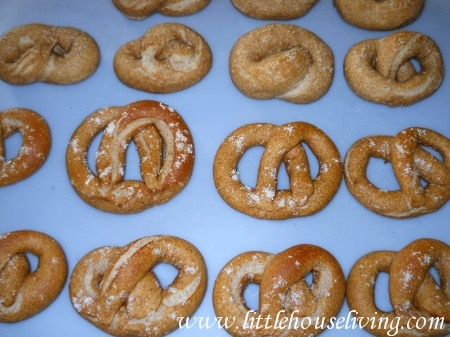 I have tried making soft pretzels before but have not found a recipe that I liked yet. I will have to give this one a try! These look great. 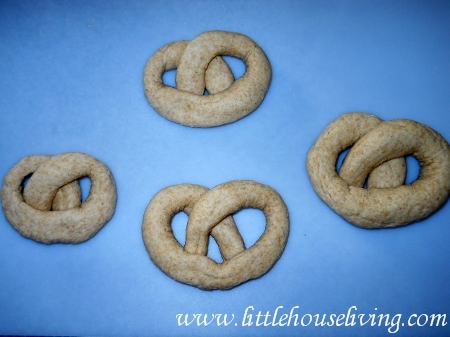 I keep saying i;m going to try homemade pretzels like this. My kids love the frozen kind but they cost too much! Thanks for sharing on the Whip It Up Wednesday blog hop. I am totally going to make these! I find I am making more and more of your recipes…. You mention making these in a bread machine. I do my breads by hand. The first step about mixing the ingredients and putting them in the machine is foreign to me. Is that just the rising step? 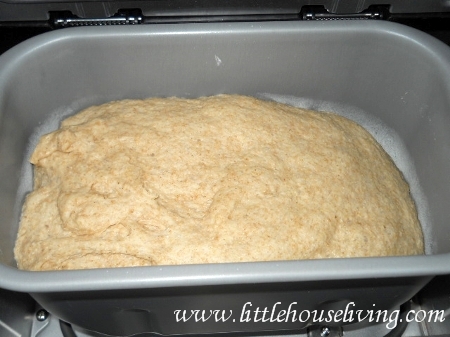 The bread machine kneads and mixes the dough, as well as gives it’s initial rising period of about an hour. 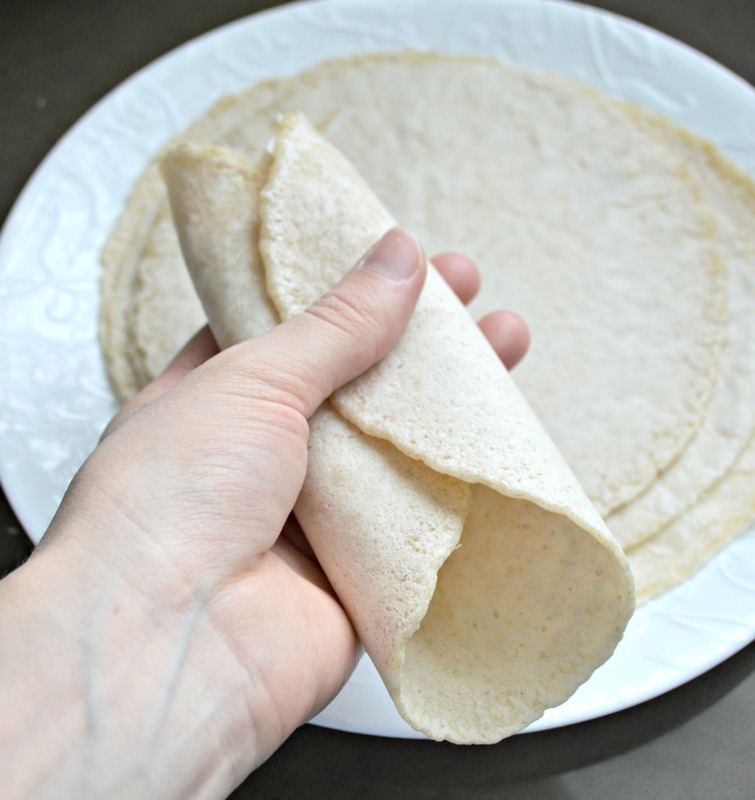 Just made these and they are sooo easy and yummy….lol I made mine in my kitchen aid and well, there is no rise cycle …lol …so ours are a little heavy…but still good! I bet next time I make these and remember to allow the dough to rise an hour they will be even better! Are most of your recipes supposed to be healthy???? they sound delicious/////Bless you for sharing!!!!!!! These look great! 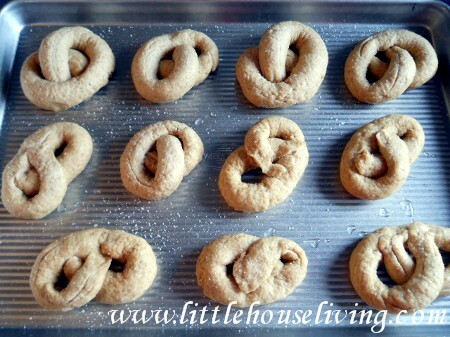 I’ve made soft pretzels before, but never in the crock pot! Thanks for the great idea! Totally making these! 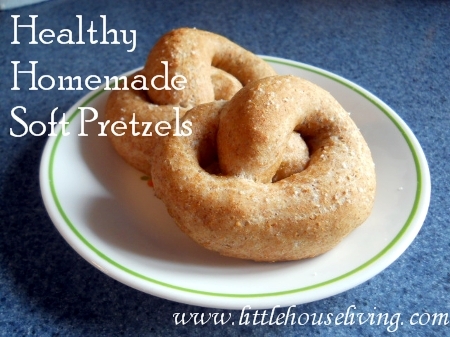 My husband loves pretzels and I think these might be a new favorite! Yummy! My son loves pretzels. This would make a great afterschool snack. Pinning now.